Budget 2019: What’s in it for housing? 1. RM1.5bil to build and complete affordable homes under the People’s Housing Programme, Civil Servants Housing Project, PR1MA, and Syarikat Perumahan Nasional Bhd. 2. RM1bil fund to be set up by the Central Bank of Malaysia (BNM) for those earning under RM2,300 per month to buy affordable houses priced at RM150,000 and below. The fund will be made available for two years or until the fund is depleted through AmBank, CIMB Bank, Maybank, RHB Bank and BSN at an interest as low as 3.5%. 3. 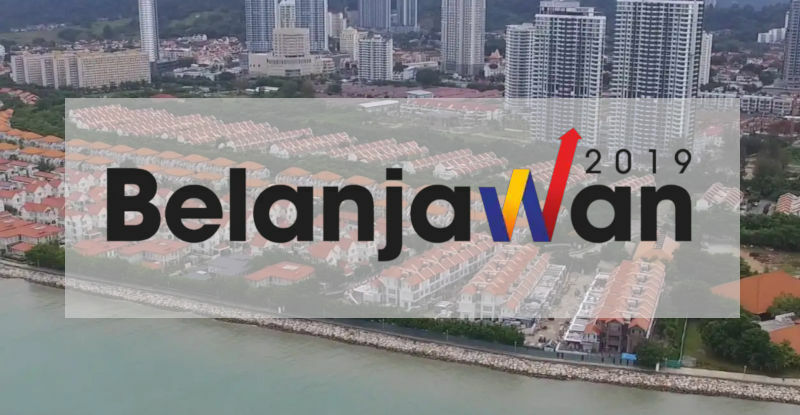 RM25mil will be allocated to Cagamas Berhad to prepare a mortgage guarantee (jaminan pajak gadai) to ensure that first time house buyers with a household income of up to RM5,000 will receive a higher financing, including for their deposit. This is expected to lower the cost between 7% and 11% for buyers, apart from the discounts given by developers. 4. Stamp duty exception for the first RM300,000 on the property transfer letter (surat cara pindah milik) and loan agreement for first time house buyers purchasing a house priced at a maximum of RM500,000 for two years until December 2020. 5. Financing under the Public Sector Home Financing Board (LPPSA) will be extended from 30 years to 35 years for first-time financing and 25 years to 30 years for second financing (pembiayaan kedua). 6. RM400 mil will be allocated to improve the living quarters of civil servants such as police and military personnel and teachers. 7. Government is suggesting on an exemption of stamp duty on property transfer letter for first house purchase for houses priced between RM300,001 and RM1mil for the period of six months starting from Jan 1, 2019. This will be part of the National House Ownership Campaign, of which developers have agreed to give a 10% discount to houses under existing projects. 8. Property crowdfunding platform will be allowed, which will be headed by the private sector. Overseen by the Securities Commission, it will allow house buyers to use peer-to-peer lending to finance their purchase. 9. Stamp duty rate for property transfers for properties priced at more than RM1mil increased from 3% to 4%. 10. For companies, non-citizens and non-PR holders, real property gains tax will be increased from 5% to 10%. For citizens and those with PR, real property gains tax will be increased form 0% to 5%. Only for first house purchaser…..
oh no… RPGT increase from 0% to 5%..
RPGT increase? Good! The budget is to kill the property market, kill the developers cos people don’t have the urge to buy anymore. Only speculators will be concerned with RPGT, and those are the people that we need to discourage from buying. So, you are right, it’s good! As for developers, this is the right time to consolidate the industry. Those that made bad investment decisions will have to close shop. We need less players in the market to reduce land hoarding. Only professional developers with a long term horizon in the industry will survive. So overall, it’s a positive trend. Again, like you said, very good! The budget aims more to curb foreigners from coming to Malaysia, particularly targets at Iskandar Johor. Earlier it was mentioned that construction services and building material will be exempted from SST. If only first time buyer will get the 10% discount, then the ultimate winner is the developer lah, e.g if 100 units out of 400 units of condo built is sold to first time buyer who entitle 10% discount, then the remaining 300 units will be sold to the normal buyers at normal price without 10% discount, but the cost is lower due to the exemption given by the government, then the developer will earn a higher margin, means developer untung semua lah. Construction and material cost saving semua developer yang dapatlah bagi 300 unit tu, mana boleh ni?? Wow ! First time house buyers get all the perks and benefits liow. They will become new generation of speculators liow because manage to buy properties cheap cheap at lower price, too sayang not to let go when the time is right. Existing old speculators / investors all have to retire liow. If any cases, developers still win, whoever they sell to, still business as usual. Or may be the existing projects (fully built but overhang units) will give 10% discount for first time buyer only. Whereas for all new launches, 10% price reduction will be given to all buyers irrespective of whether 1st time 2nd time or 3rd time (becoz not subject to SST hence cheaper cost). If this is the case, then government or some housing institution must provide some kind of assistance/measures for buyers to lodge complaints if there are developers who violate the rule by refusing to reduce prices, for e.g those buyer who already signed the snp (which prices already factored in the SST) but the construction will only begin by next year or later (which the material and construction services will be free of SST). Hope that REHDA will look into this potential issue, to act as a watchdog to prevent any tricky developer who may secara senyap-senyap telan semua saving yang diberi oleh government, tapi buyer tak dapat apa-apa faedah in the end. for e.g those buyer who already signed the snp (which prices were previously factored in the GST) but the construction will only begin by next year or later (which by then the material and construction services will be free of SST).